post-title This sign in Bowes perfectly explains the philosophy of going to the pub. 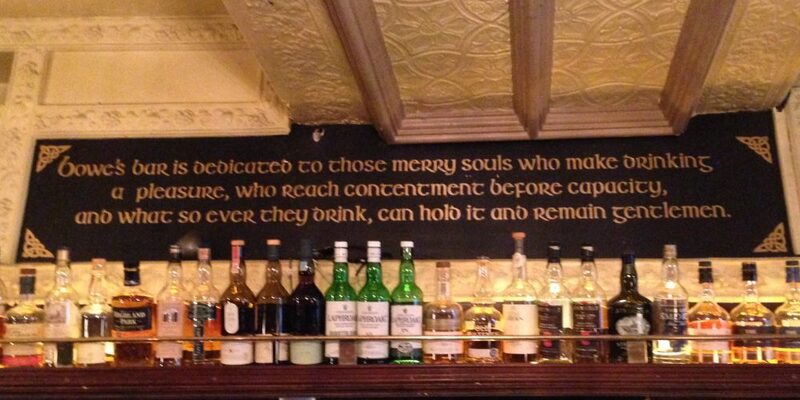 This sign in Bowes perfectly explains the philosophy of going to the pub. Home / 2017 / This sign in Bowes perfectly explains the philosophy of going to the pub. 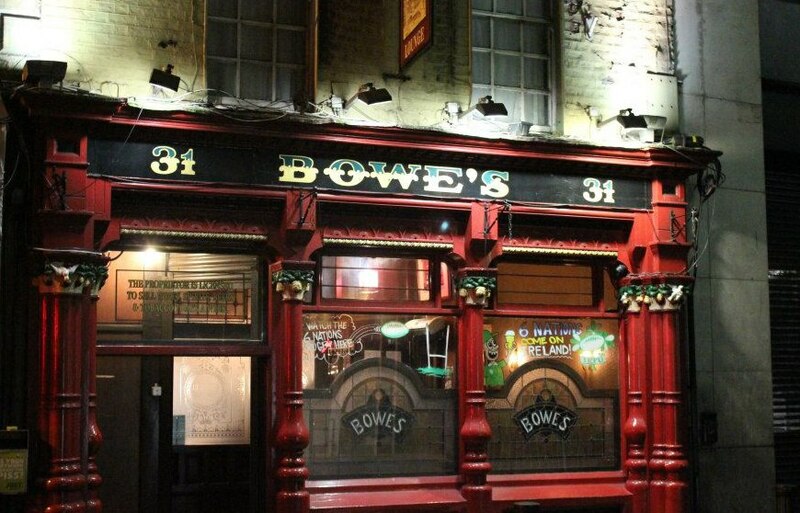 Bowes on Fleet Street is one of the 16 remaining Victorian era pubs. It has been here on this spot for some 137 years. 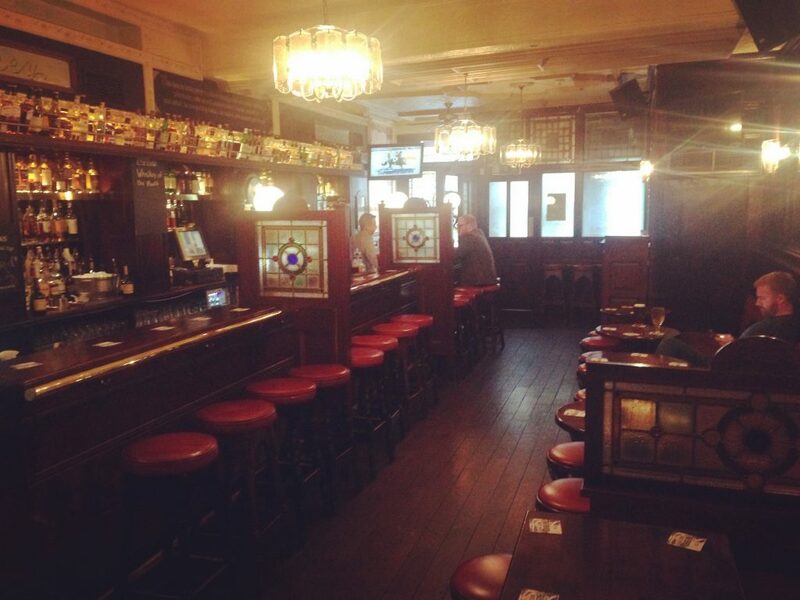 In that time, it has become known as a pub with relative tranquility, and a fine place to go to enjoy a chat with some friends, family or colleagues. The noise of the pub is created only by the patrons, huddled in groups of 2 to 6, bantering about the topics of the day. And there’s the odd trad session too. Above the bar they have a sign that, we think, perfectly sums up a respectable and mature philosophy towards our relationship with the pub and with drinking. 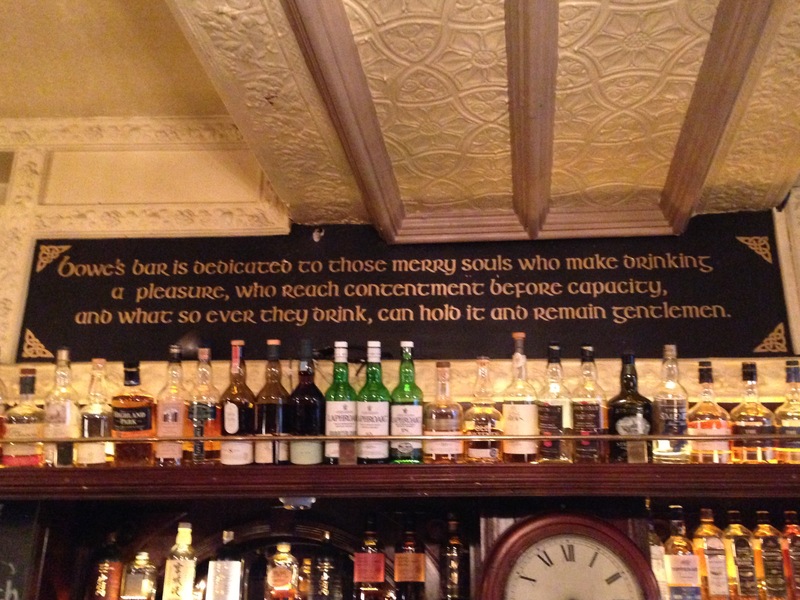 It’s attitudes like this that make this one of our favourite pubs in the city.